A class action lawsuit was filed today on behalf of Pacific Northwest wheat farmers and Center for Food Safety (CFS) after Oregon wheat farmers suffered depressed wheat prices following the discovery of illegal genetically engineered, glyphosate-resistant wheat plants. The GE crops, created by Monsanto, have not been approved for sale or commercial production in the United States. 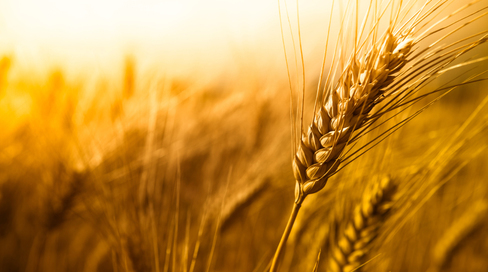 The presence of the illegal crops spurred top wheat importers such as Japan, South Korea and the European Union to enact restrictions on American wheat or call for testing. Monsanto conducted field tests of its genetically-engineered glyphosate-resistant (Roundup Ready®) wheat plants in 16 states from 1998 to 2005, but never commercialized the controversial crop. Monsanto decided in May 2004 to give up its pursuit of regulatory approval due to considerable market resistance. Wheat farmers and advocacy organizations have long argued that GE wheat would contaminate conventional wheat, making it unsellable to many markets that reject GE products. Past transgenic contamination episodes involving GE corn and GE rice have triggered over $1 billion in losses and economic hardship to farmers. For years, Center for Food Safety has sought to prevent outdoor GE crop field testing and commercialization of genetically engineered crops for these very reasons. Center for Food Safety and Washington white wheat farmers are representing the broad class of farmers affected by the contamination, seeking relief and forcing Monsanto take measures to clean up the contamination and ensure it never happens again. “The discovery of unapproved Roundup Ready wheat in a farmer's field in Oregon, years after Monsanto terminated field testing, is one more example of Monsanto's inability to keep their engineered genes under control. Until Monsanto and USDA begin to take gene flow from field tests more seriously, we can expect escaped genes to continue to cause havoc,” said Martha Crouch, Ph.D., Plant Sciences and a consultant for CFS. The farmers also seek compensatory damages for class members resulting from the contamination of the general wheat supply in the form of diminished prices for soft white wheat resulting from the loss of export and domestic markets for wheat, and increased grower costs resulting from the need to maintain the integrity of the soft white wheat supply. A qué le teme Monsanto?